City Club of Denver - Business and Job Growth: A Rosy Picture or Status Quo? Business and Job Growth: A Rosy Picture or Status Quo? Join us as Tom Clark discusses the outlook for economic development in the Denver Metropolitan Area. The press repeatedly has alleged that Denver, and Colorado, is at a disadvantage in attracting new business due to a perceived anti-business attitude and an unwillingness to offer tax and other advantages as relocation lures. What is the reality? How much can, or should, any metropolitan area offer as incentives for relocation? What message does our actual position send to companies contemplating a move? To those companies who already have a commitment to the area? Should a new Mayor and/or Governor consider a change in strategy? What opportunities for growth exist in the current business community? How can we, as concerned citizens, act as agents for growth? Tom will address these and other questions and issues during his talk. Tom has over 30 years of economic development experience at the state, regional, county and city levels. Tom’s career spans four decades from Director of Commercial and Industrial Development for the Illinois Department of Commerce and Community Affairs, through positions with the Fort Collins Chamber of Commerce, the Greater Denver Development Corporation, the Boulder Chamber of Commerce, the Jefferson Economic Council and the Greater Denver Chamber of Commerce. He holds bachelors degrees in speech and psychology from Minnesota State University and a Masters in Public Administration from the University of Illinois. 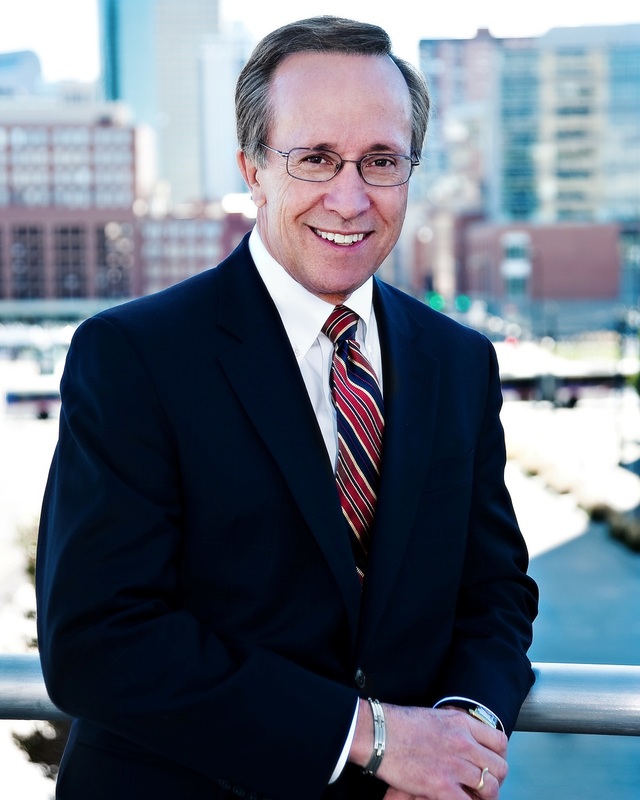 Tom was the founder and first president of the Metro Denver Network, the Metro Denver region’s first economic development program, for which he received the Arthur D. Little Award for Excellence in Economic Development. In 2007 Tom as awarded the Business Person of the Year Award by the Colorado Chapter of the Public Relations Society of America.